Vine and Willow Charcoal are 100% natural products made of carbonized twigs. As a drawing and sketching material they create velvety black marks - from uniform lines to rich fills. They also lend themselves to blending and shading in a variety of gradations. Use a kneaded eraser to create highlights in your drawing. 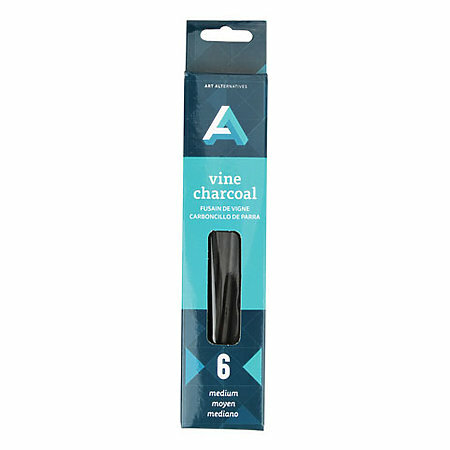 The Willow Charcoal package contains assorted sizes in thin, medium and thick grades.